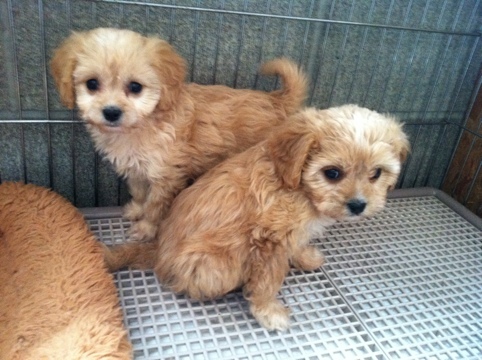 This entry was posted in Adopted Puppies, Cavachon, Maggie, Solid Apricot or Red. Bookmark the permalink. We are looking for a cavachon that looks like Maggie’s girls. How much are they and how old are they? All of Maggie’s girls are sold. We will have more like this in the future. Please see the pricing page under the heading “Purchase a Puppy” for pricing details. Also if you subscribe to the blog you will notice any info about upcoming litters. Thanks!